How to stop the deforestation induced by Ylang Ylang farming while defending a rich plant heritage. So we’ve chosen to take action! 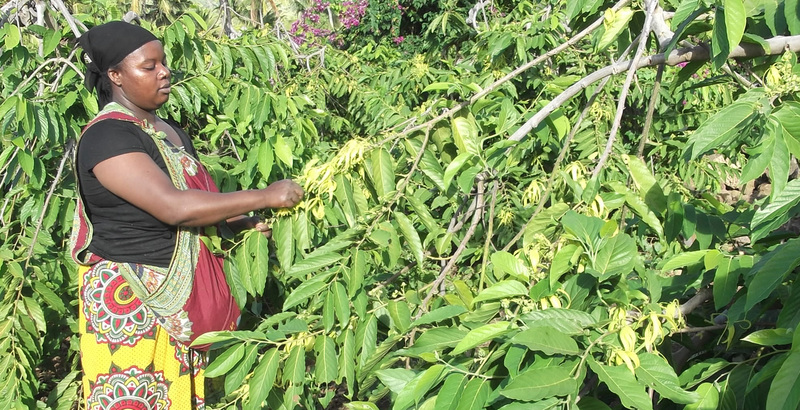 The core of the process lies in making Ylang Ylang farming more sustainable, while at the same time raising awareness among the locals on how important it is to protect biodiversity. First, the aim of the action is to train the local actors of the Ylang Ylang sector to take on better practices and to replant more trees. In other words, to implement a more sustainable handling of the forest. 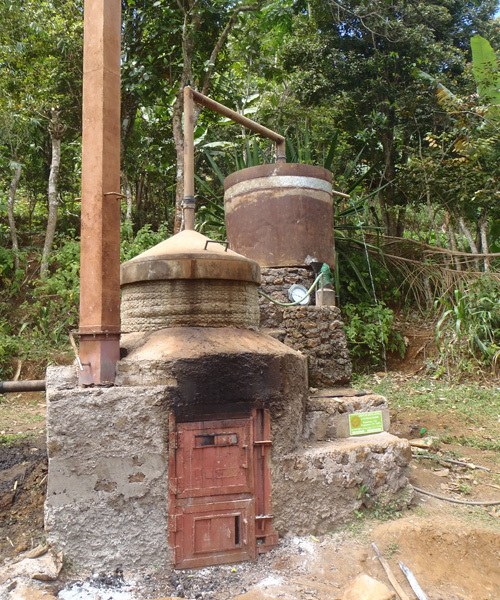 We have chosen to support the answer brought by a great organization, Initiative Développement, who equips distillers with economical wood stoves. These can save 50% to 70% of the wood, which is the equivalent of 45 tons of wood! In terms of trees, we are speaking of around 25 adult Mango trees saved each year. 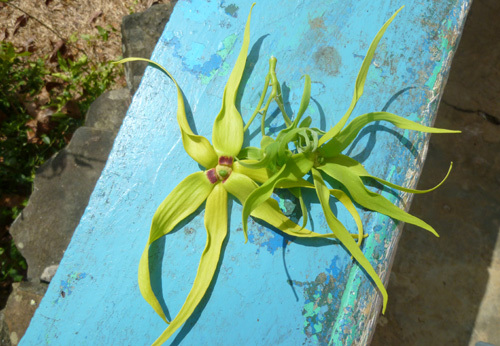 View the video "Ylang-Ylang : Protect"
This tropical tree grows at the heart of the Indian Ocean, on the island of Anjouna, in the Comoros. It yields a mythical flower with a distinguishable scent, sought for its essential oil by the perfume industry. This is one of the main sources of revenue in this particularly poor region of the world. View the video "Ylang-Ylang : Botanical focus"
Whoever, wants to protect the world of plants needs to know it better. In the Comoros, Ylang Ylang holds a key role in the vegetation, but also in the country’s economy, through its farming. But, the latter is not perfectly mastered, and we know very little about the way it articulates with the forest and its exploitation. Our action in the Comoros therefore has a second target: exploring. By trying to get a better understanding of the key role of Ylang Ylang in its actual ecosystem in order to improve the farming and the quality of the flowers. To do so, we’ve launched a partnership with a specialist of both Ylang Ylang and the Comoros, from AgroParisTech, who oversees studies led there by agronomy students. View the video "Ylang-Ylang : Explore"
If one has to understand Ylang Ylang better to preserve it, it is also important to talk about it. The third aspect of our mission is educational in nature. Our aim is to help the young Comorians to get to know the role and diversity of the trees and plants around them to protect them better. In order to do this, several partners are working together in order to publish a pedagogical booklet and a travelling exhibit touring the 3 islands, as well as exhibitions and interventions within schools closest to where Ylang Ylang is produced. In total, 2000 kids will take part in the workshops and receive the booklet. View the video "Ylang-Ylang : Share"